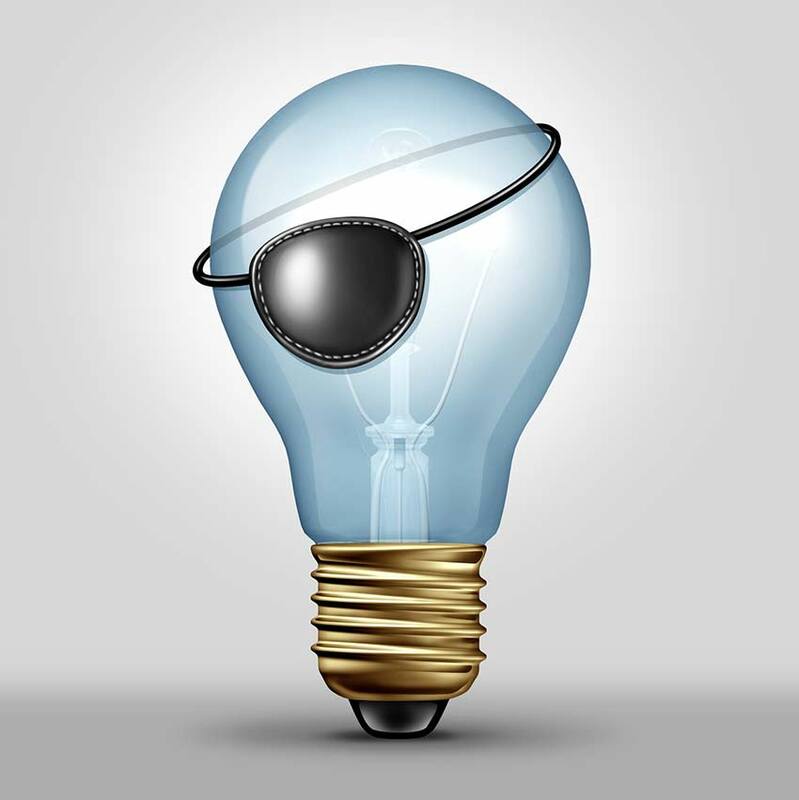 Stealing intellectual property is considered theft just as much as stealing physical property. Often, people aren’t aware of the fact that ideas and words can be owned by someone, which causes both intentional and unintentional plagiarism. The copyright owner deserves protection. At PlagScan, we value copyright ownership and try to protect intellectual property to the best of our ability. Integrity is an indisputable value. We put it on the top of our flag and want to help others sustain it within their organizations, be they academic or commercial in nature. In an era where accessing the documents of others is all too easy, we stand for full control and protection of data. PlagScan founders Markus Goldbach and Johannes Knabe launched the software in 2009 with the mission of improving the quality of teaching by helping instructors to save time on plagiarism search. "Johannes' wife, a teacher at a secondary school, came home with essays from students one night back in early 2009. One of them was a direct copy of a Wikipedia entry. Since the student hadn't even bothered to change the formatting, this one was easy to spot. But it spurred her interest in the subject of plagiarism, and she investigated all of the other essays in detail, too. On closer inspection, she found that several others had plagiarized their essays as well--students she would never have initially suspected. These cases, however, were a little harder to detect, as the students had taken a bit more trouble to conceal their plagiarism. That night, the idea for PlagScan was born: an automated plagiarism checker for all texts, which would set a fair standard for all, and improve the quality of teaching and research." This is what first inspired the development of ‘cutting-edge’ algorithms for full-text comparisons. PlagScan was able to increase its user base quickly and help raise awareness of plagiarism around the world. Since then, the team of PlagScan (TOPS for insiders) has grown (link to Our team page) into a dynamic and diverse group with team members from all over the world, and all with the common goal of contributing to the improvement of the educational process. In 2013 PlagScan’s web service was awarded first place in multiple comparison tests and has been well received by the global press (press page). PlagScan supports four languages and has customers from all over the world. More than 1,500 organizations and 1,2 million students rely on our service. Every day, thousands of users utilize our software to identify plagiarism. As a German-based company, we follow a strict data protection policy. Our software is in use globally and has established a worldwide reputation as one of the most efficient plagiarism detection tools on the market. Using someone else’s words without giving them credit is unacceptable. Today, a vast amount of text is available online to everyone, making it very easy to plagiarize through cut-and-paste. What is needed is a transparent and efficient solution to safeguard the work of the original author, as well to protect the integrity of the educational process. A lack of respect for intellectual property is a growing problem in today's academic environment. We want to change that by developing better ways of detecting and discouraging plagiarism. By innovating new methods of plagiarism prevention, we help educators by freeing up more of their time for pursuing pedagogical goals. And when students understand that they are responsible for coming up with their own ideas and words, they will begin to develop better creative writing and critical thinking skills which will help them down the road. Some have criticized automated plagiarism checking by claiming that it puts all those investigated under a generalized cloud of suspicion, even where there is no obvious evidence of wrongdoing. But is this a fair criticism? Is the installment of a security camera, for example, an insinuation that everyone surveilled is a threat? We believe that everyone's work should be treated equally so that all can be judged according to the same standard. A fair standard applied across the board will help to significantly decrease incidences of plagiarism, while simultaneously increasing original content creation. Do you strive for originality? Do you feel inspired? Then join our team – we're hiring!